2017 harvest has begun! - Grampians Olive Co. It's olive harvest time! We're thankful for a bumper crop this year and are working 7 days a week around the clock get it picked and pressed! Although the hours can be demanding, we have a great little team of family and local staff and we find relieving the trees of their heavy load and tasting the freshly pressed oil very satisfying. Our family is always excited to taste the first of the new oil (olio nuovo) and we love sharing this delicious experience with our customers and friends! We have bottled our limited release 2017 olio nuovo organic extra virgin olive oil - if you pre-ordered you will be first to receive it. Last year's olio nuovo was highly sought after, so if you haven't already ordered now is your chance! Available in bottles, casks and tins up to 20L! 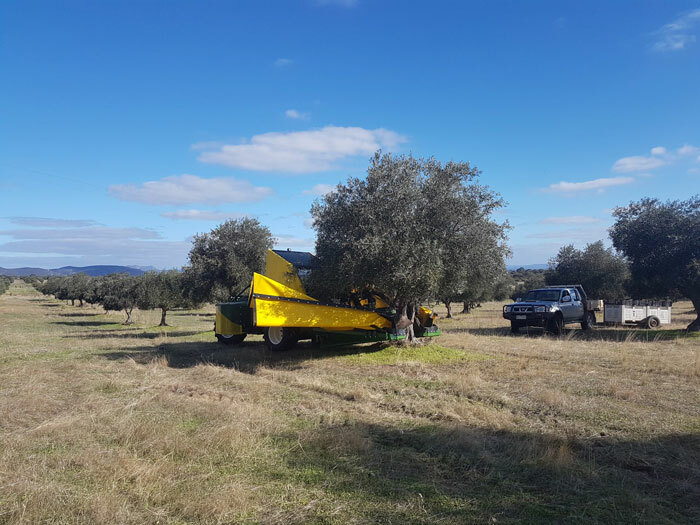 We pick our olives then immediately cold press on farm to produce the highest quality oil.